“We have worked extensively with VMob for the last few years, and we’re excited to be able to continue to contribute to their global expansion." New Zealand mobile marketing company VMob is set to accelerate its expansion into key global markets including the US and Japan even further with the support of co-investment from New Zealand Trade and Enterprise (NZTE), which will be spread over three years. The co-investment, under NZTE’s International Growth Fund, is part of a programme of support VMob has received from NZTE in recent years, which has also included assistance in marketing, hiring and resourcing in the US and Japan. The funding, which will be matched by VMob, will be used to establish offices and hire staff in the US and Japan enabling VMob to develop new business opportunities with large international retailers. The grant follows a stand-out year for the local technology company marked by significant achievements including signing on McDonald's Japan and the establishment of key partnerships including Microsoft. 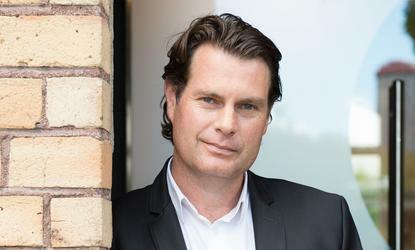 “It’s been a year of exciting growth and expansion for VMob and having the NZTE’s vote of confidence in our business model through this grant allows us to pursue the exciting global opportunity to work with some of the biggest retailers around the world,” says Scott Bradley, CEO, VMob. The International Growth Fund is part of the tailored package of services NZTE offers to the businesses they work with most intensively. Businesses that receive this funding need to at least match the level of investment that NZTE makes. “We have worked extensively with VMob for the last few years, and we’re excited to be able to continue to contribute to their global expansion," says John Ferguson, New Zealand Trade and Enterprise.